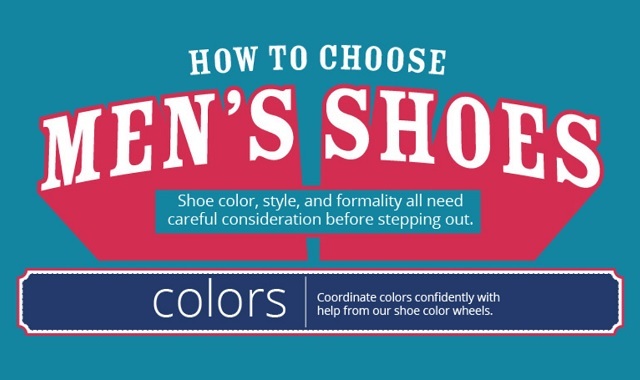 How to choose men’s shoes #infographic ~ Visualistan '+g+"
You’ve ironed your favorite shirt and decided which suit you’re going to wear, but should you don black Oxfords or burgundy brogues? The right pair of shoes are the perfect finishing touch to your ensemble, but choosing can be a challenge. Can you wear brown shoes with black pants? Is it ever okay to wear Chelsea boots to the office? What are the best shoes to wear when dressing to impress at a job interview? samuel-windsor's handy guide has the answers to all of your questions and more, so you’re equipped with all the shoe-choosing knowledge you’ll ever need.